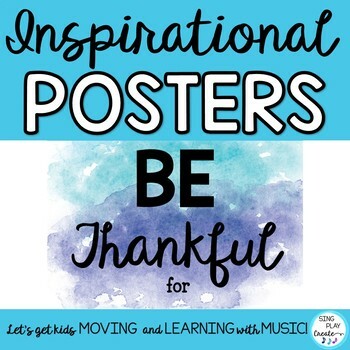 Inspirational Posters and Classroom Decor "Be Thankful for . 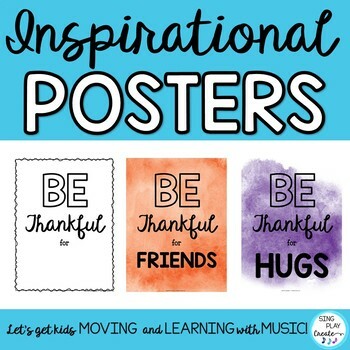 . . "
Brighten up your classroom, home office, work space with these positive and inspirational watercolor posters. There are 12 posters! 12 Water Color 8.5x11 inch size (the size of a regular piece of paper) posters as PNGS and as PDF files. Download the preview to see all the posters! 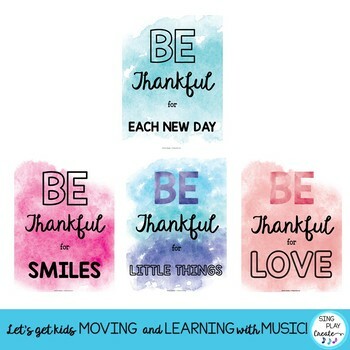 After purchase, you can download and print on high quality cardstock, or use the PNG files in your social media or to create cards and more graphics. 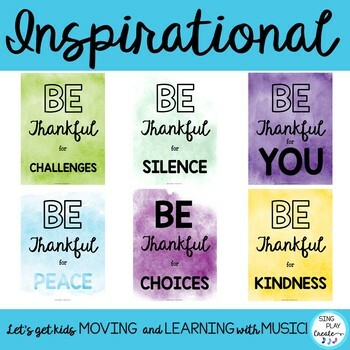 Frame and hang in your classroom, work area or home office.